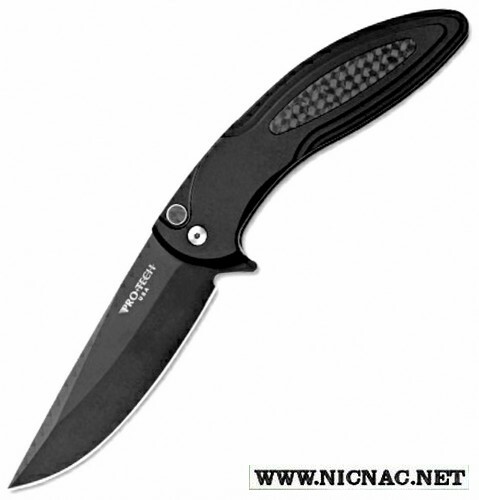 The Protech Cambria is a button lock flipper knife with ball bearing pivot system by Protech Knives that is overall open length 7.75 inches with a drop point blade length of 3.5 inches and is made with 154CM flat grind. It is tip up carry with an aluminum handle made for the right hand user. This one has an ivory micarta inlay on the front with a matching ivory micarta push button and a plain stonewash blade. Made in the USA!